When you click a layer: The Magic Eraser tool erases pixels of a similar color based on a specified range and leaves the area transparent. 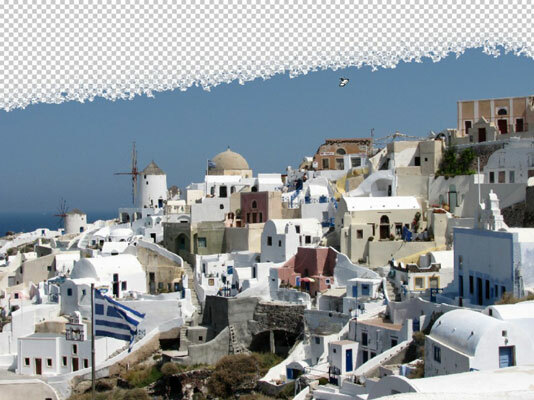 When you click the background: The Magic Eraser tool automatically converts the background to a layer and then does the same pixel-erasing thing. When you click a layer with locked transparency: The Magic Eraser tool erases the pixels and replaces the area with the background color. Tolerance: Defines the range of colors that Elements erases, just as it does with the Magic Wand tool. The value determines how similar a neighboring color has to be to the color you click. A higher value picks up more colors, whereas a lower value picks up fewer colors. Anti-aliasing: Creates a slightly soft edge around the transparent area. Contiguous: Selects only similar colors that are adjacent to each other. Deselect this option to select and then delete similarly colored pixels wherever they appear in your image. Sample All Layers: Samples colors using data from all visible layers, but erases pixels on only the active layer. Opacity: Works like it does for the regular Eraser tool, described in the previous section.